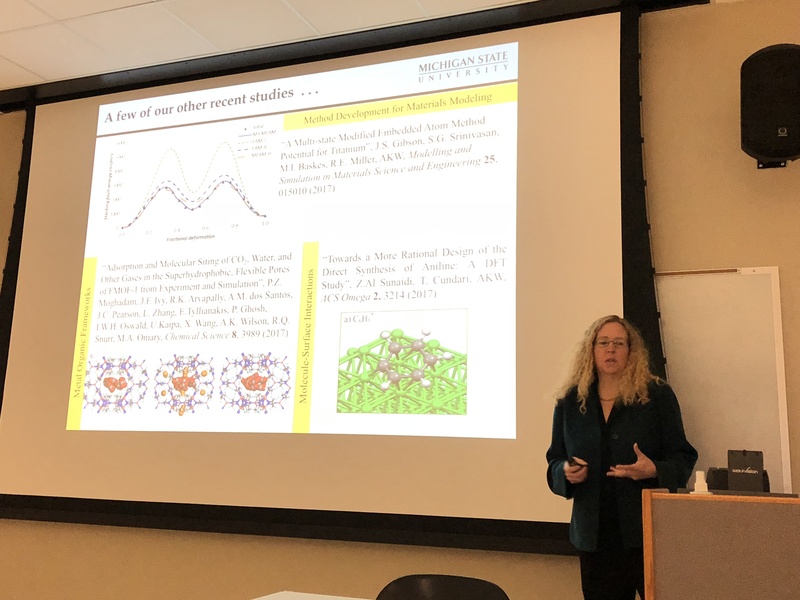 The College of Sciences and Mathematics (COSAM) Department of Chemistry and Biochemistry recently hosted a colloquium featuring Michigan State University professor Dr. Angela Wilson, who is also the former director of the chemistry division of the National Science Foundation. 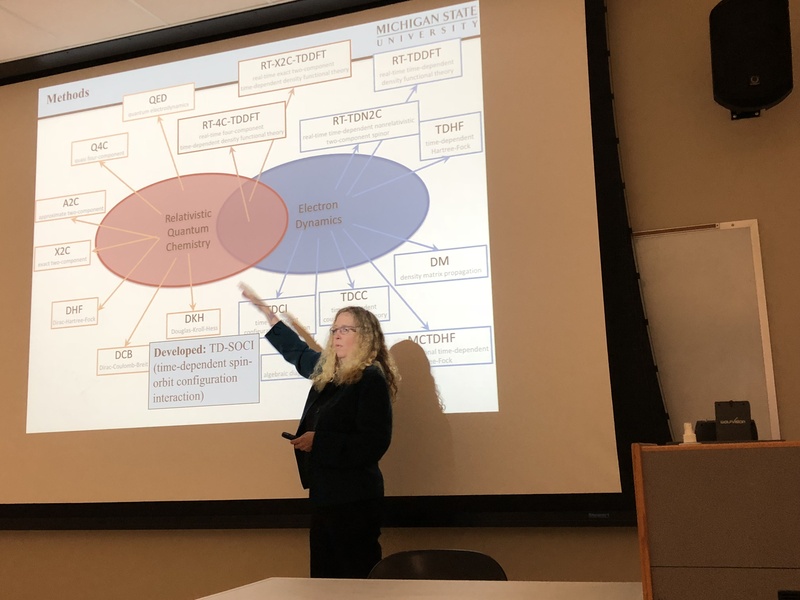 The colloquium, titled “Thermochemical and Spectroscopic Properties Across the Periodic Table,” took place on Nov. 15 in the Sciences Center Classroom building. COSAM’s Dr. Evangelos Miliordos introduced Dr. Wilson, who presented slides on her recent work in electronic structure calculations. After presenting an overview of her active research projects, which involve heavy element chemistry, catalysis, and drug design, she focused on the performance of existing quantum mechanical methodologies for a variety of chemical systems composed of different atoms across the periodic table. At the end, she proposed appropriate strategies developed by her research group over the past decade, which need to be followed for accurate theoretical results. Her work is currently funded by the Department of Energy and Industry. Dr. Wilson said she was excited to be back in Auburn, and reflected on attending an Auburn football game in 1984. Dr. Angela Wilson from Michigan State University. Dr. Angela Wilson discussing additional studies.